We've had good experiences with companies from down under such as Whiteline, Turbosmart and PE Racing, so we were anxious to try out the suspension offerings from another Australian company, Pedders. Although the name Pedders is probably new to most of you MotoIQ readers, they have been around for a long time, 67 years, in fact, being founded in 1950. The design philosophy of Pedders is to build high-quality, performance street suspension systems. These are the systems that give a good bump in performance with engineering focus being put on achieving a balance between daily driving civility and performance handling, including great performance on the track. 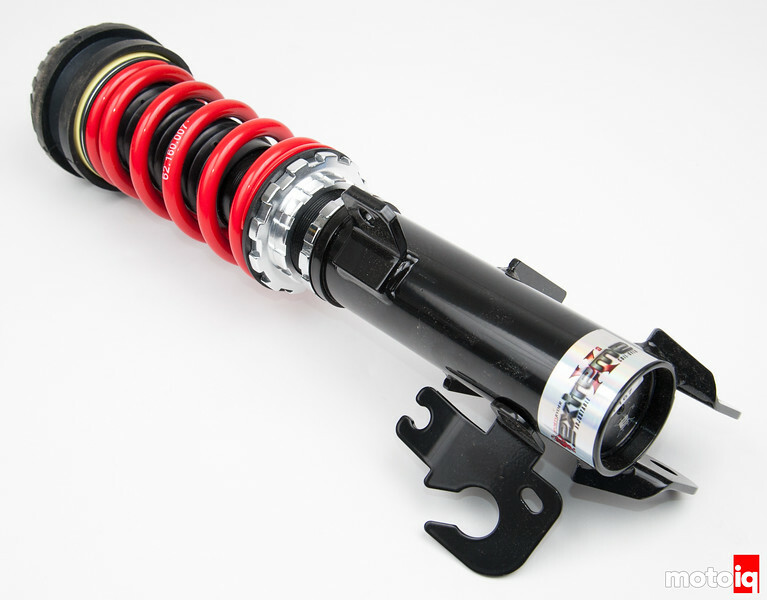 Knowing this, we were eager to get our hands on a set of Pedders coilovers and give them a try. Although Pedders tests and calibrates their suspension for North American models in the USA, we decided to start our Pedders experience with a platform we know they have a ton of experience with- the Australian Holden Commodore, which is sold here as the Chevrolet SS. What is a Chevy SS? If you are like some of us, you had to do a little research because the car is a rare bird here in the USA. It is almost like Chevrolet didn't want the car to succeed and didn't market it, so most people have never heard of it. With sales hovering at around 2500 units per year, it is indeed a rare car, in the realm of some exotics! The Chevy SS is a real deal performance car with a 415hp LS3 V8, an optional six-speed manual transmission, and RWD in a tight sedan chassis. 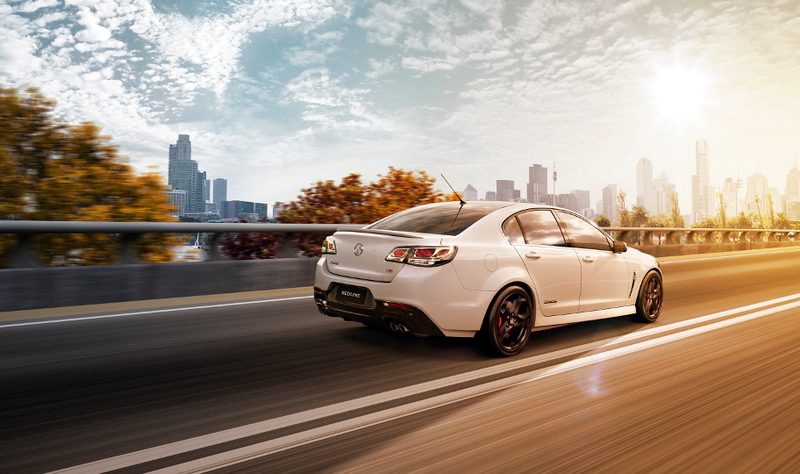 It is basically a rebadged Commodore SS, which is a popular performance sedan down under. The SS has sparkling performance; it turns the 1/4 mile 13 flat at 111 mph and can do 0-60 in 4.5 seconds- all while pulling 0.96 G's on the skidpad. Overlooked or not, the SS is a real performance sedan reminiscent of the great BMW E39 M5, but unfortunately, due to lagging sales and the shuttering of Australian Holden factory, 2017 will be the last year for the SS. In fact, great cars or not, all of the Australian-American V8's have failed in the US from the GTO, the G8 and now the SS for some reason. We think in all of these cases a great deal of the blame for their failure lies with little money being spent to market the cars. In the future, the Commodore will not be totally going away, but the SS the Australian market has come to know and love is going to be completely neutered. Not only will the powerful but gas guzzling V8 be gone, but the Commodore is now going to be FWD. On 10/20/17 Holden's Elizabeth manufacturing plant in Adelaide, Australia will be making its last SS. 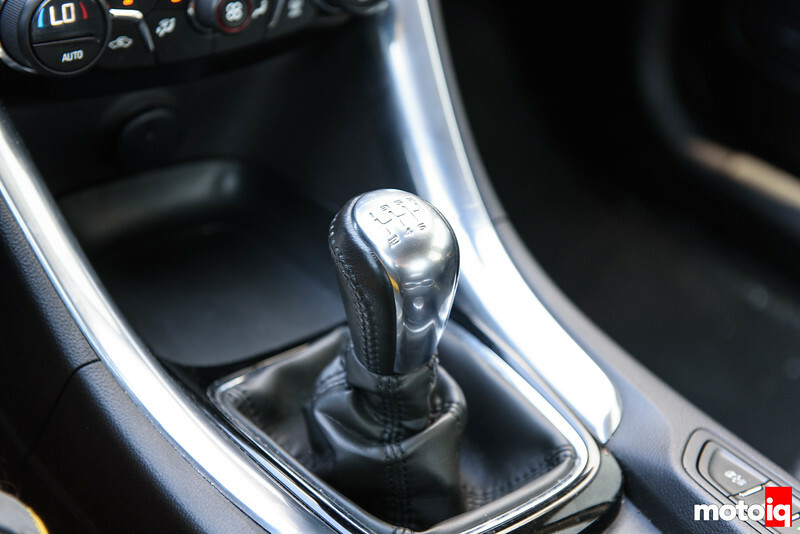 The plant also made the US SS, so if you got your hands on one, you may want to hold onto it and keep it in the garage – especially if it has a manual transmission. We happen to know one of the lucky US consumers who got their hands on a manual transmission SS. He picked it up used with only 8,000 miles for a mere $35k. A steal, considering everything you get: 415 horsepower LS3 V8, six-speed transmission, rear wheel drive, Brembo brakes, heads-up display, and a gaggle of other comfort goodies. The US SS comes with Chevy's MagneRide from the factory. In short, Magneride suspension has the damper filled with magnetorheological fluid. This is a fluid that can increase its viscosity when activated by an electromagnet. By varying the magnetic field and tuning the fluid's viscosity, MagneRide can give several levels of damping control, from comfort, to normal to sports settings. The owner of our SS test car wanted to be able to lower his car while still maintaining a comfortable ride with increased handling performance- not necessarily track performance but something better than stock. This was a tall task, as the SS is no slouch in stock form, but the folks at Pedders said their xA coilovers would fit the bill and function perfectly. 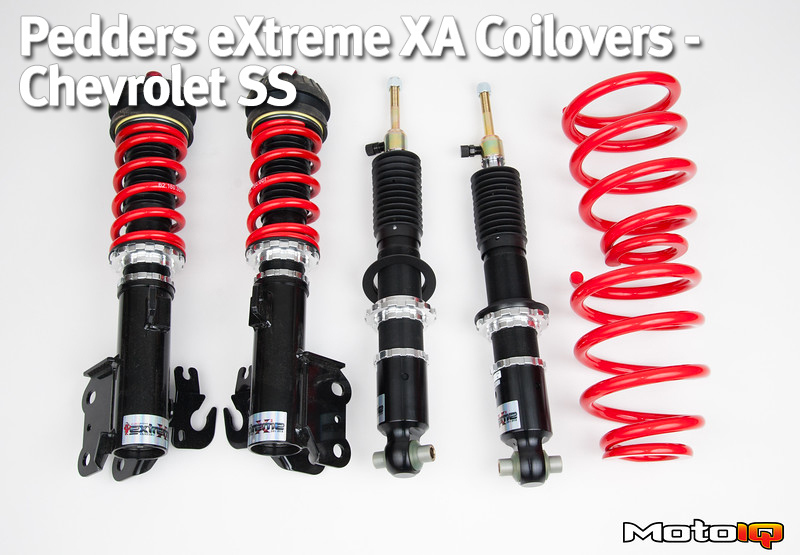 Pedders eXtreme XA Coilovers have features like 30 position single damping adjustments that effect bump & rebound damping together with most of the emphasis on rebound, motorsport grade coil springs, and the use of high-strength aluminum alloy in the springs seats. The Pedders damper features monotube construction with gas pressurization of the fluid behind a floating piston to reduce cavitation. The body is fully threaded with the ability to adjust ride height independently of spring preload. The lower strut mount can be raised and lowered and is constructed of high-grade steel for strength. $20,000 at Stake: The Speed Ring by Motovicity!